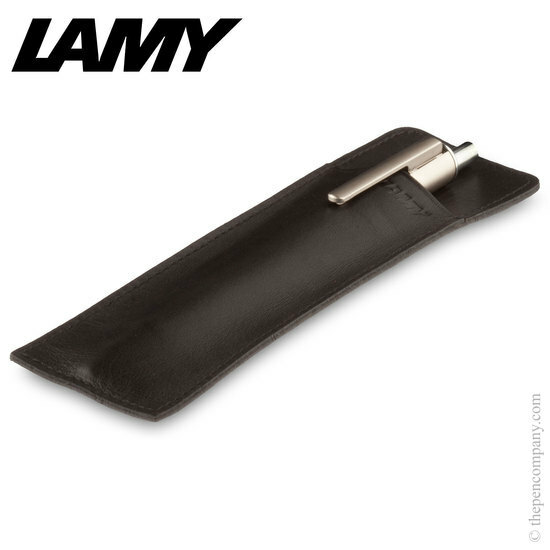 A complimentary Lamy leather slip case with Lamy Swift pens. 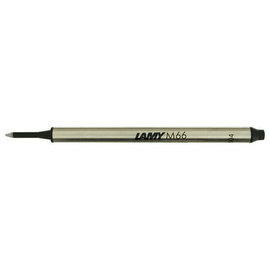 The Lamy Swift is a propelling rollerball pen. 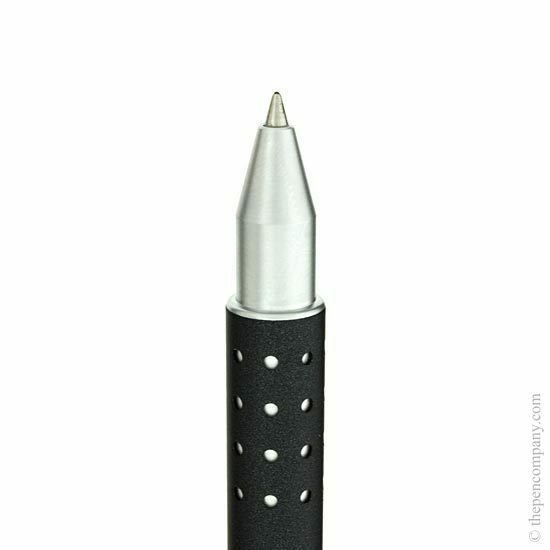 As the point of the Swift is extended a clever mechanism retracts the clip so it is flush with the barrel. 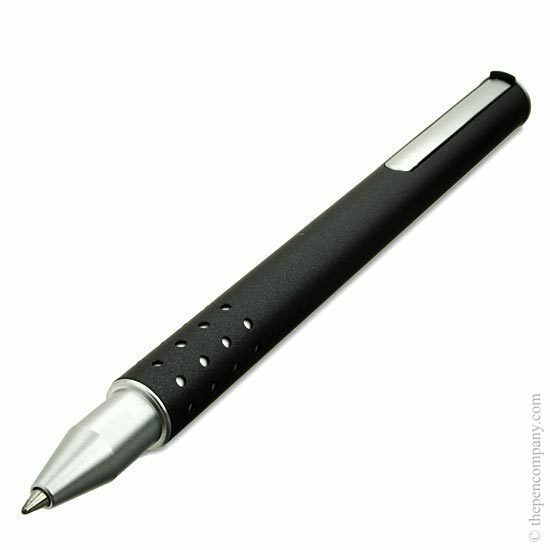 The clip pops back out when the point is retracted. 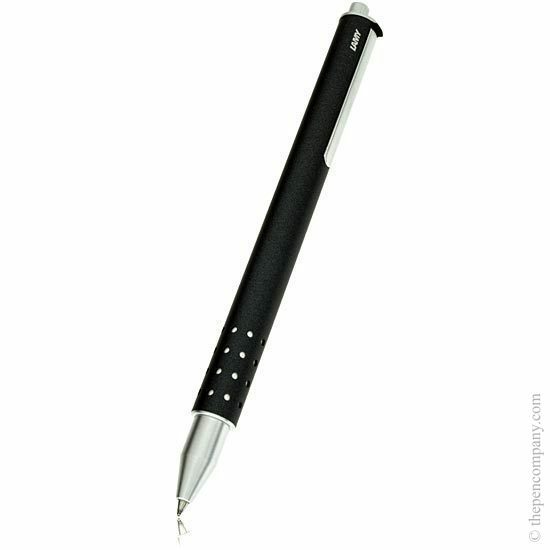 This mechanism stops the clip from inhibiting movement when writing and minimises the chance of putting the Swift in a pocket with the point out. 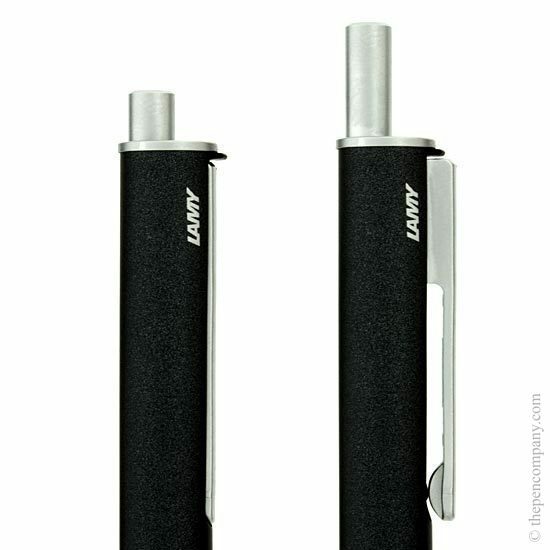 The Lamy Swift is available in a soft lacquer in blue or anthracite, a satin palladium plated finish or an elegantly fluted platinum finish.